My Kids Lab Coat is your Best Source for Authentic Kids Lab Coats! 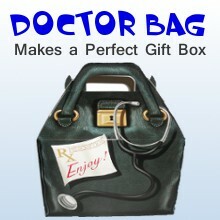 My Kids Lab Coat offers the largest selection of personalized Kids Lab Coats available anywhere online. Our Labcoats are made specifically for children with the same attention to detail as most larger lab coats worn by Medical Professionals worldwide. Your little doctor and Nurse will have hours of imaginative playtime with our real authentic Kids Lab Coats. 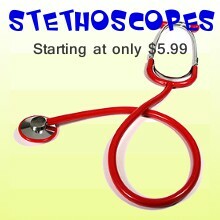 Don't forget to add one of our real working Stethoscopes to complete your little Doctors uniform. 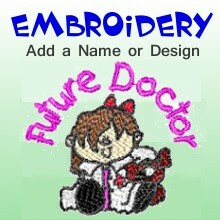 Add Personalized Embroidery to make it a memorable gift for many years to come. Our Kids Lab Coats are authentic Lab Coats just like the one your Doctor or Nurse wears. 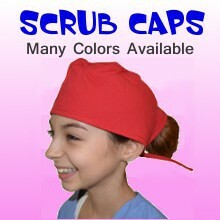 Many of our competitors sell "Doctor Costumes" with inferior quality Kids Lab Coats made out of a non-woven or non-cotton material that will come apart at the seams after the first wash. Our Kids Lab Coats are made from the same Quality material and stitching as your Doctor or Nurses Lab Coat, 60% Cotton and 40% Polyester and will stand up to many washings. Why buy a Costume when you can have a real Lab Coat?